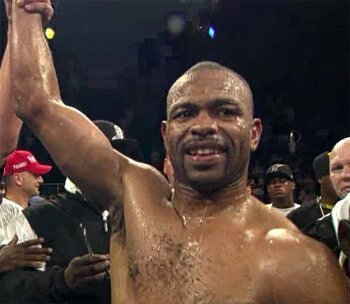 Faded 46 year old modern great and 4 division world titlist Roy Jones Jr continues in his quest to try and somehow maneuver himself into position to challenge for an elusive cruiserweight world title when he fights Eric Watkins (12-9-2, 5ko) as part of the Knockout Season 2 finale, live on NUVOtv in the States. Jones has been on record lately insisting that he would like to capture the 5th divisional world honour and had been keen on a challenge to the now former WBO champion Marco Huck, who sensationally dropped his title this weekend in a stunning upset at the hands of little known Pole Krzsytof Glowacki. While he keeps boxing in contests that are no more than meaningless exhibition bouts to most fans, the plan of the one last world title seems utterly ludicrous. Yes, Jones is keeping active, but it’s against a level of competition that, in most cases, and with all due respect to the opponents, is frankly embarrassing for a fighter of his former class and calibre. After the fight against Watkins tonight, he has one scheduled in Philipsburg on the tiny Dutch island of Sint Maarten in the Caribbean against former world title challenger Danny Santiago (33-7-1, 19ko) who is now 42 himself and hasn’t boxed for 19 months. After that it’s on to the UK to fight a bout under the auspices of the Malta Boxing Commission against Liverpool’s 42 year old Tony Moran, (15-6-0, 5ko) who in 2004 challenged for the British cruiserweight title and has only had three fights in the last ten years, losing two.